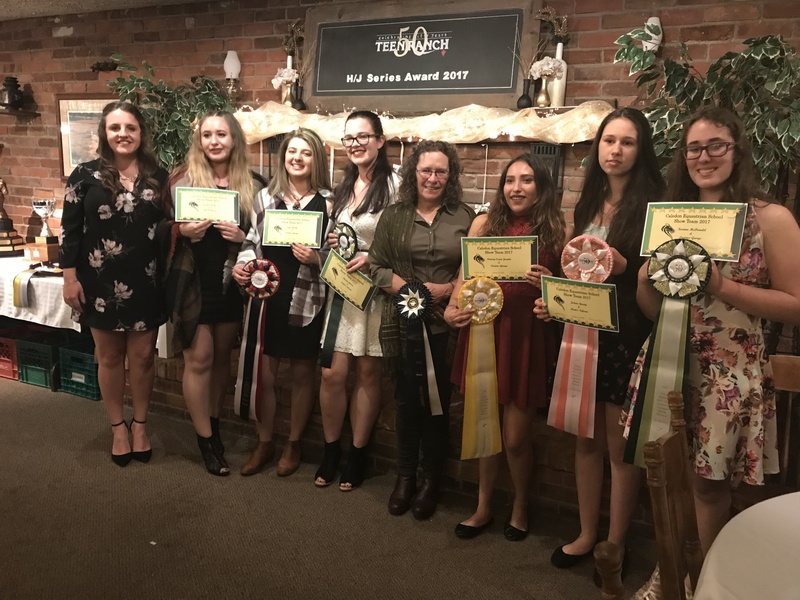 Join the Caledon Equestrian School Show Team! The Caledon Equestrian School Show Team is looking forward to a new show season! Anywhere from 10 to 25 riders will be on the team who compete at 6 shows throughout the season. 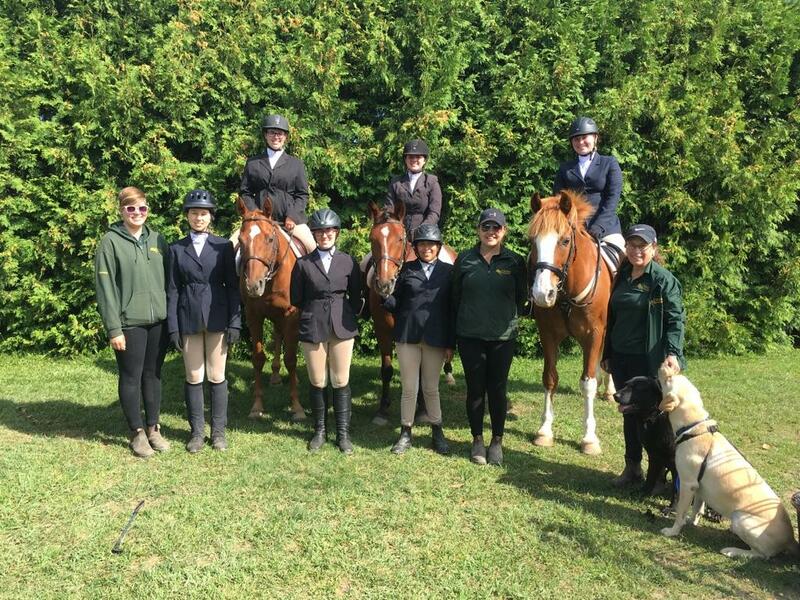 The Caledon Equestrian School Show Team is a wonderful group of kids who show great sportsmanship and support for each other at the shows and at home. Regardless of placing, every rider is a winner by working with their individual school horse over the summer and developing both their own skills and the horse’s. The riders on the team demonstrate a winning attitude by focusing on what is really important – teamwork and horsemanship. All riders start the day very early – some arrive at the barn as early as 5:30! And they continue to work and ride and cheer for each other until they get home – sometimes 10 hours later in a very long day. The riders know the season will be lots of fun regardless of what they ride. They have the attitude that four legs are good and they appreciate the opportunity to show their skills on any horse, young or old. Competition is a chance to show what you know and to teach both you and your equine partner how to work in stressful situations to develop the correct riding skills, regardless of any situation. Every year the riders look forward to a great show season and sharing their enthusiasm for their exceptional horses with each other. Sometimes the more experienced riders might have the opportunity to compete with the young horses they have trained during the spring and winter. But regardless of level, the Caledon Equestrian School show team is always excited to meet the challenge of a new competition year.